Honoring miscarriage through ritual can be deeply healing. One meaning of ritual is a customary observance. A ritual for miscarriage is the simple act of observing pregnancy loss in some way, that honors the experience, validates feelings, and acknowledges the brief life and loss of a baby. The ritual can be whatever the mother and father decide. It can be a simple observance or a large gathering of family and friends. Miscarriage can be profoundly painful for many and deserves to be recognized and honored in some way. Through ritual many find the great feeling of loss lessened and steps can be taken to move forward after the miscarriage is honored. What a woman experiences through miscarriage deserves sacred honor. How that takes place and how she chooses to be a part of that honoring is up to her. May the thoughts and ideas here help women who have or are experience miscarriage to feel a deeper connection to their body, baby and the universe, so that healing at the core of the soul can take place. Ritual should be a part of any woman’s miscarriage recovery plan. Just as birth and marriage are honored, so too is death. To the millions of women who have experienced pregnancy loss, this type of death can invoke a sense of grief that can linger, creating doubts and fears about her own body and capacity to be a good mother. This is why performing a ritual to honor the loss is so important. A simple ceremony can be performed in private, alone, at church, as a couple, or surrounded by family and friends. A simple ceremony can include some or all of the ideas below. It is best for the mother to do what she feels is right for her healing process. I made this artwork with my husband during a time of profound grief. A combination of pressed petals, paint, colored pencil and feelings flowing through as symbolism. The act of creating a work of art is very healing. Pour out all that is felt into painting, collage, pastel, clay, colored pencil or mixed media. Get your partner involved if he/she would like to. Don’t worry about technique, or being perfect, just create. Choose mediums and colors that you feel drawn to. Prayers for healing, understanding, peace, and for the soul of the baby are healing for all involved. Prayers alone, prayer with the leader of your church, and prayer with family and friends are a great way to speak freely, from the heart to the God of your beliefs. Though eating might not sound very good, food has been used as a way to honor and nourish one another during hard times throughout human history. Why not use it to honor a life passed on? Choose nourishing, delicious foods. For mothers– If you don’t feel like cooking, order take-out from your favorite restaurant; don’t forget the dessert. As you eat this meal, be thankful for your life, for those who love you, for the hands that prepared the meal, for the nourishment you are receiving, and for this experience; may it be a stepping stone on the path to your dreams come true. Think of this meal as one way of honoring the life that you experienced within you, no matter how brief. For friends and family– Offer to make and bring over a meal for the mother and her partner. Bless the meal before taking it to them. Many people create altars without even knowing that is what they are doing. Most often this takes place on a shelf, the top of a dresser or windowsill, or perhaps in the garden or a special place in the wilderness. An altar is created by gathering and placing together symbols, art, poems, a candle, or any trinket that reminds you of the experience you are intending to honor and heal. Alters can be temporary and changing, or more permanent. Over time as healing takes place, the objects can be placed in a special box and stored for remembrance. One of the simplest and most beautiful ways to honor miscarriage is by lighting a candle. The flame is representative of the eternal life of the soul. Say a prayer while lighting the candle. You don’t have to be a poet or even a good writer to get your point across. These are your words to your baby, the child you are mourning. Let the words flow from you. Set this somewhere you can read it until you are ready and time moves you to a new phase of your life. Getting feelings out on paper, rather than bottling them up, can be a pillar on the healing journey. I have used song as way to honor loss for years. I am not sure where I learned this song or who wrote it, but it is one I love and sing with my children, to honor the passing of a soul. Music is profoundly healing. Find a song you love, play it, listen to it, sing it. If you are musically inclined, you may even wish to write your own song. Adornment with a pregnancy loss necklace, bracelet, or ring is a beautiful and elegant way to honor the loss of a baby at any stage. Do a search on the internet for pregnancy loss jewelry and many websites will come up. Etsy has some really beautiful jewelry that can be customized. Many of these online shops have gemstones to represent the month the loss took place. Jewelry is an expression of the beauty in life. Growing something can be extremely healing. A tree, bush, flower, herb garden, seeds, seedling, any of these will do. Depending on the season, indoor or outdoor, growing a plant in honor of your loss is a way to bring the vibrancy of life and loss together. For couples that experience a stillbirth, rituals for healing may take place in the form of dressing the baby, taking photos with the baby, keeping special blankets and mementos from pregnancy and the brief time with baby. In addition to a funeral, cremation, and/or celebration of life, taking time to honor a stillbirth can be honored in any of the above ways as well. Know that if you have experienced a pregnancy loss, no matter how far along you were, you are not alone. 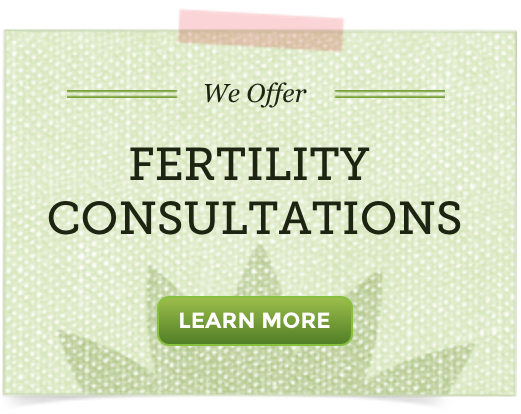 Sometimes sharing your story with a counselor, close friend, or at our Natural Fertility Community may help you process what you are going through and help you move forward. Ive experienced the lost of a little one. Its been two (2) years. I would like to host and event to celebrate women who have experience miscarriage. I’m looking for some ideas to name the event. We lost our baby at 8 weeks. We did not really know what to do to honour the precious soul. My husband is an artist. He already had some paintings done honouring the pregnancy. I looked glowing in those painting and very happy. When we went for the final scan, I lay there hoping the Dr will say something different. we opted for the D&C and that was last week but then it still feels like yesterday. We light a candle every night as we say prayer for the baby and that helps. All i can say is that it differs from person to person but there is no easy way out. Take your time and give in to your emotions. One step at a time. Our very best as you heal! What a beautiful article. I am researching this post for a client of mine, what beautiful ideas. I am going to forward this article to her. I am so very sorry for your heartache and for the loss your family has experienced. My hope it that through honoring Marley, you find inner peace. You’re welcome! I am glad you liked it!